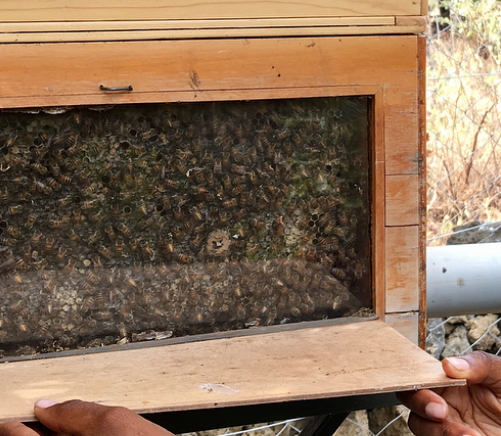 To celebrate #WORLDBEEDAY, we sat down with Wilbur Mutua, who manages the MWCT Bee-Keeping Project!  W: This project was initiated 5 years ago. W: We started with 25 hives and 3 observation hives. What is an observation hive? W: It’s a small hive with glass openings on both sides, so you can monitor the development of the hive and the behavior of the bees. 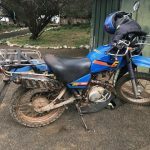 How do you maintain the hives? W: Every week I go through the hives to see how the colonies have developed and if any infections are present in the hives. 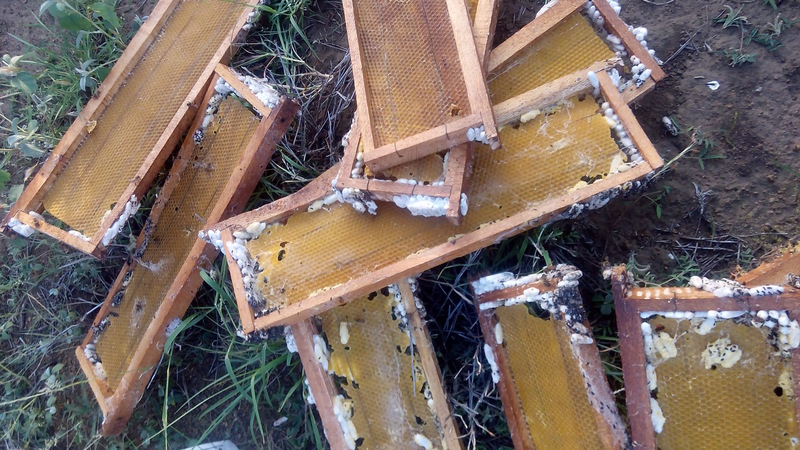 If infected, I clean the hive and take it back to the apiary to capture a new colony. 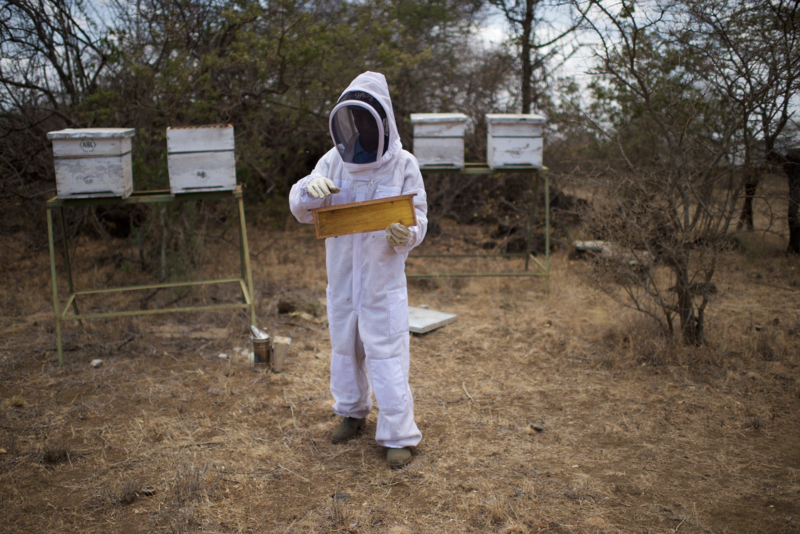 Do you wear anything while working with the bees? 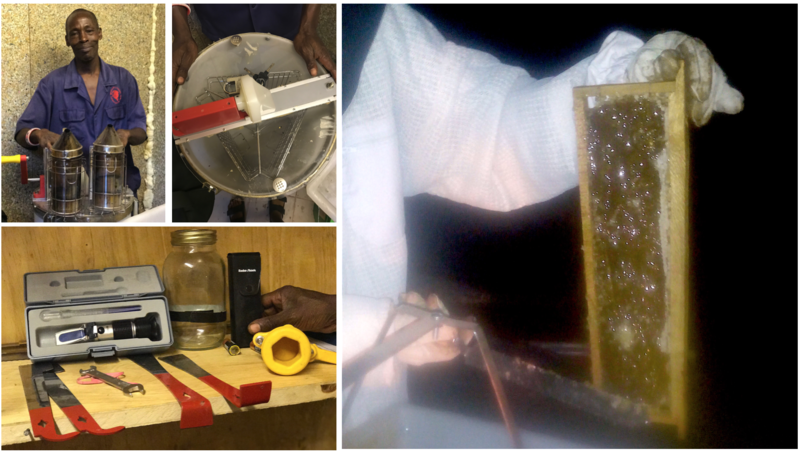 W: I have got the bee suits, smokers and hives tools to manage the maintenance of the hives safely. W: If the hives look like they have ants, moth balls and if the queen is inactive then it is a good indication that the hive is infected. What is the current status of the hives? 4 are not colonised presently & 8 of the 13 are to be harvested soon. How do you harvest the honey? W: When the hives are ready to be harvested, I put on my gear and use the smoker to smoke the bees out a little bit and gently brush the bees aside or back to the brood. 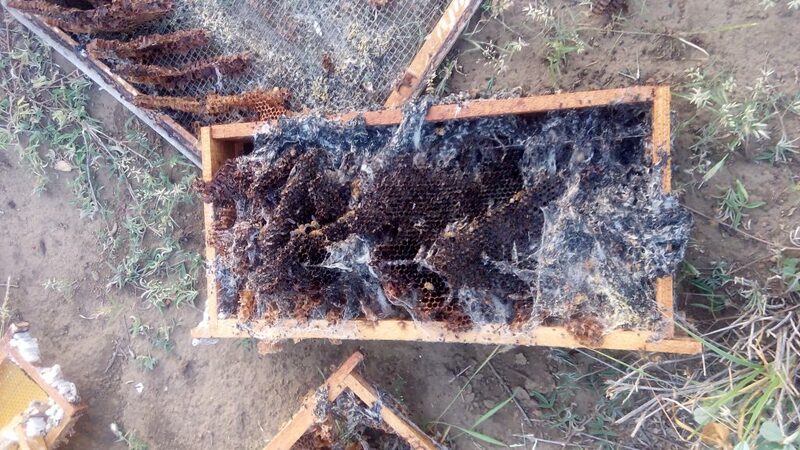 I then start taking the frames out one by one from the “super” (which is the top box that holds the frames of honey), I then uncap the comb that seals the frame and then put the frame into the spinner. I manually spin the frames to encourage the honey to drip out of the combs. Once all the honey has been collected, I take the frames back to the “super” for the process to begin again. What is the purpose of having these hives? 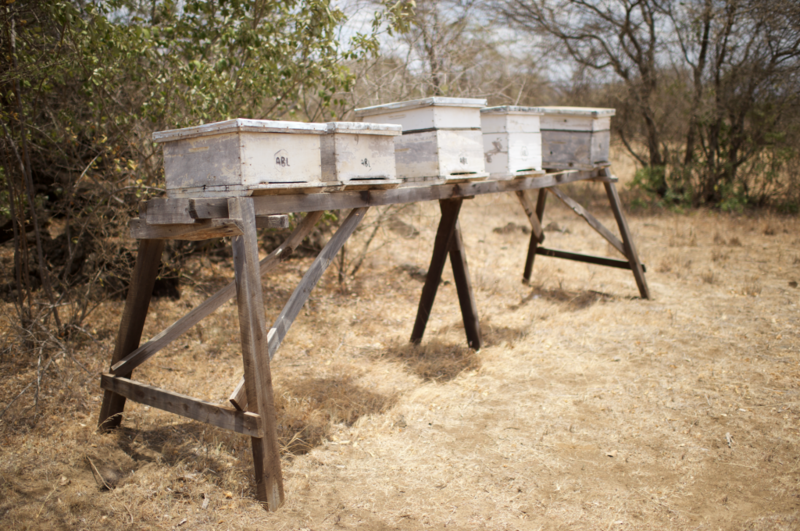 W: The bee project was introduced as a way to improve the livelihoods of the women with the Maasai community that we are working with here on Kuku Group Ranch. 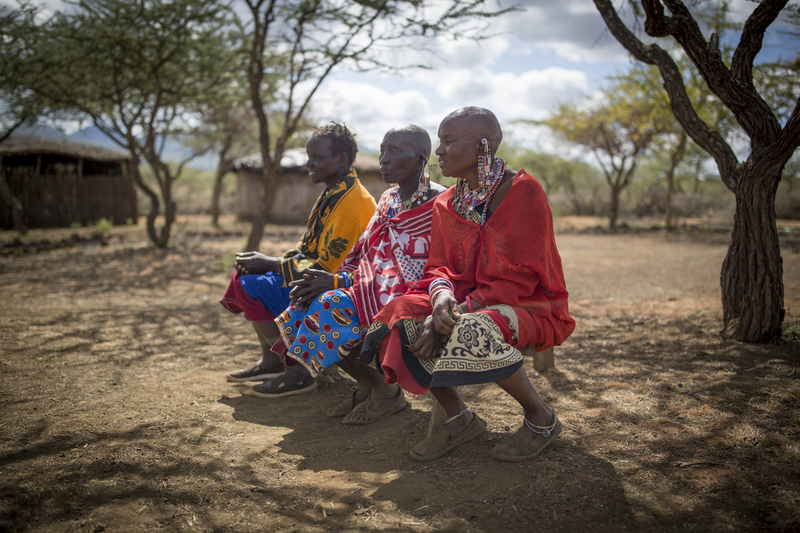 Our plan in the near future is to implement the project by having different Maasai women groups take ownership of their own mini bee projects, while MWCT oversees the overall development. Our hope is that they will eventually be able to take care of the hives, harvest the honey and sell it as an alternative point of income for their family. Do you have any final thoughts about the honey project you want to share? 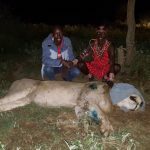 W: We are looking forward for this project to benefit the women of the local Maasai community.Having said that, we are always happy to welcome any individuals or organisations that may want to assist us with training and equipment of the project but most importantly to better implement its purpose for the improved livelihoods of the women. For more info on MWCT and the Livelihoods program click here.